Right now, researchers at the the Monterey Bay Aquarium Research Institute (MBARI) are streaming live(ish) sounds from the bottom of the ocean, some 1,200 meters (nearly 4,000 feet) below the surface. Installed in 2015, the ultra-sensitive microphone — called a hydrophone — sits approximately 30 kilometers (18 miles) off the coast of California. 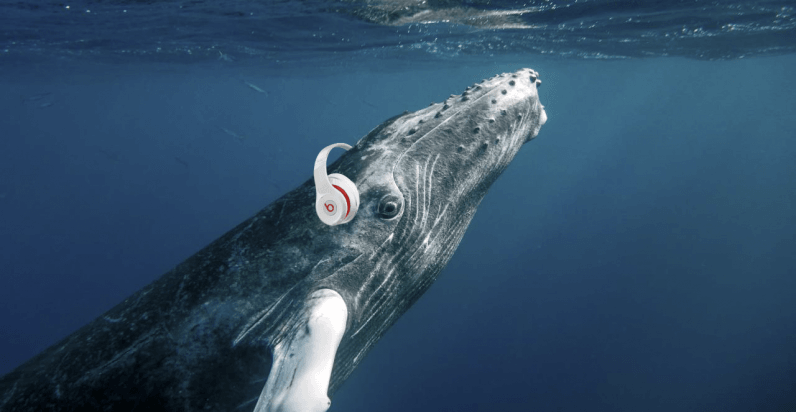 Audio is amplified so you can hear it with normal speakers, but some creatures — like the baleen whale — require high-quality headphones or a subwoofer to hear the low frequency vocalizations. Each stream is slightly delayed to allow for processing, but every 10 minutes you’ll get the beginning of a new recording from the previous delay period. I managed to tune in during a period of complete silence, but depending on when you catch the stream you may hear “whales, dolphins, sea lions, boats, rain, wind, earthquakes, and other sounds.” Each of the sounds fall into one of three categories: biophony (marine life sounds), geophony (earth sounds), or anthrophony (human activity). If you manage to blank on all of those things, like I did, you can grab a listen to some previously-recorded audio at MBARI’s Soundscape Listening Room. Here, you’ll find all matter of aquatic creatures, such as the jubilant-sounding humpback whale, or the semi-terrifying call of the blue whale, or even an undersea earthquake (if you have a subwoofer or decent headphones).